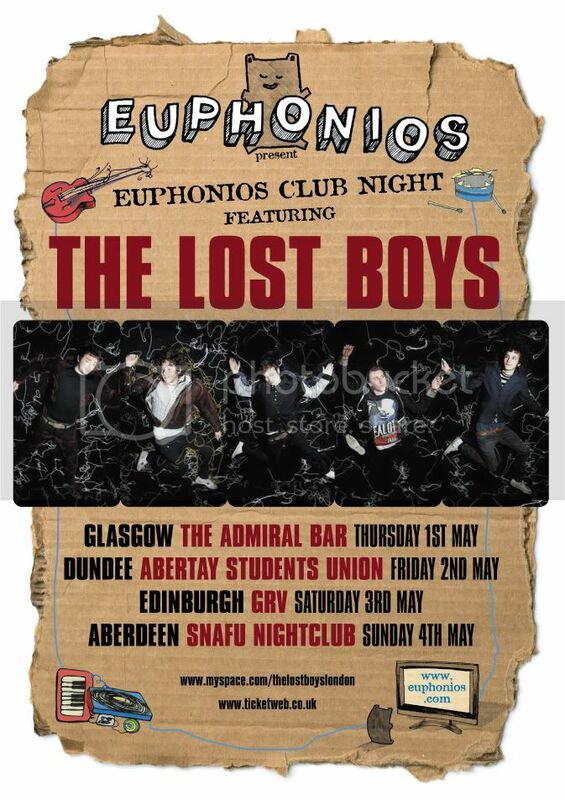 Euphonios Records bring you the newest Scottish club night; featuring the best live music and djs from across the UK. Nights look set to run on the first Sunday of every month at Snafu. The Lost Boys kick off the first event.